It wasn’t all that long ago that lawyers’ concept of turnover was limited to showing empathy when their corporate clients bemoaned its disruptive effect and insidious cost. A client moving down the street was rare. Like other symbols of the cherished days of expanding demand, what the American lawyer called the Golden Age of law firms, client turnover is now a daily threat. These days, the name of the game is attract and retain. Each year, roughly 20 percent of successful firms’ clients disappear. This means that 20 percent of your hard-earned marketing and sales success is consumed simply staying even. There are many reasons for this. Some have nothing to do with how well you served those clients and aren’t controllable, e.g., consolidation, failure, relocation, etc. It is said that ours is an 80-20 world, meaning 80 percent of any effect is from 20 percent of the causes. Law firms’ difficulty in getting and keeping clients stems from the following causal factors. This is the biggie. In survey after survey, and GC panel after GC panel, clients consistently bemoan their primary outside law firms’ lack of knowledge about their business. This frustrates clients because they expect these firms to bring fresh thinking and creative ideas to the table; that’s hard to do when you don’t understand the game the client is trying to win. That also translates into direct overhead, as clients must pay those lawyers by the hour to learn how to be relevant. Most firms’ messages are variations on the “Quality Legal Services/We’re Great Lawyers” theme, and too many firms assiduously avoid attracting attention, preferring to look just like the other “quality” firms. Research indicates that corporate buyers think all established firms are of relatively equal quality, and can’t appreciate the minor distinctions that lawyers cite in intramural discussions. A small group of rainmakers brings in most of the business. Most everyone else services those clients and assumes that enough business will continue to show up somehow – after all, it always has. This “rainmaker,” “rain-catcher,” “mist-maker” culture is costly, especially now that rainmakers are demonstrating their willingness to move to greener pastures where their book will yield them a bigger piece of the profit pie. All sales opportunities are not created equal. In fact, research reveals that, in 30 percent of selling situations, nothing is purchased, no decision is made. No law firm has a 30 percent market share, so we lose to competitors far less frequently than we lose to “No Decision.” Few lawyers know how to qualify and avoid investing precious time on a stillborn sales initiative. Fewer still have much of an appreciation for the concept of cost-of-sales. Pitching is telling a prospect all about your firm, your services and yourself, and hoping that the innate attractiveness of your firm and its services will motivate the prospect to go through the cost and dislocation of replacing an incumbent. Selling means using the questioning and listening skills that made you a great lawyer, in a disciplined way, to learn which of this prospect’s many problems and challenges are not being solved satisfactorily. Learn which problem this prospect already wants to say “Yes” to having help with. This means looking for business only in your own practice area, e.g., tax lawyers looking only for tax work, employment lawyers seeking only employment work, etc. One corporate lawyer, seeking to groom biotech startups, had begun a relationship with a university’s business incubator. During a coaching session, he complained of a recent meeting at which the department heads kept steering the discussion back to a technology transfer problem. Exasperated, this lawyer told me: “But I wanted to talk about getting into the incubator’s startup stream.” Accepting technology transfer as the easy entry point and bringing in his IP colleagues didn’t occur to him. Studies show that, on average, firms’ Top 100 clients buy only a handful of the two dozen services typically offered. Tunnel vision is a major cause of this failure, but so is the product-orientation that prevents lawyers from seeing that demand for their services is based on the importance of the underlying business problem that the client must overcome or control, not on how skilled they are as lawyers. Even today, despite a decade of evidence of the criticality of business acquisition, some newly-minted partners still awaken belatedly to the harsh reality that partnership includes developing business, whether the firm and they have prepared for it or not. Law firms are premium-priced manufacturers of custom products tailored to client needs. But needs change. Nothing is in demand or commands a premium price forever. Lawyers must learn how to recognize emerging needs that yield great value and command premium prices. Despite two decades of marketing evolution, some law firms still fear that bold, assertive sales and marketing will alienate their clients. But, those same corporate clients invest billions in sales and marketing. They know it’s critical, and they know it works. 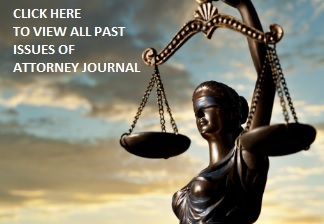 Law firms have always sought the best people. Now, the definition of “best” has changed. Besides top legal work, the best need marketing and sales skills that once were a luxury, found only in what were (falsely) perceived as “natural” rainmakers. What was once the ceiling is now the floor. Lawyers know the importance of these skills, and they know they must acquire them—either at their current firm or at another one. Progressive law firms are overcoming obstacles to attracting and retaining clients through proper business development education, training and guidance. Education provides the knowledge and a common language with which to propagate it. Skill building requires coaching and continuous guidance while the skill is practiced. Ideally, lawyers apply sales and marketing lessons in real situations, guided by the unseen hand of their coach. Today, marketing, sales and client service training is a strategic tool that, used consistently, delivers dramatic results. And, winning is a great learning tool. Learn now. The first-est get the most-est.